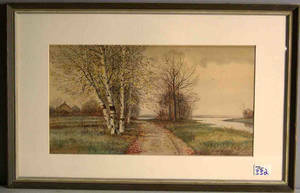 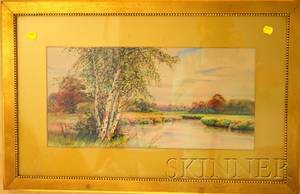 031257: STEUBEN GLASS FOX, H 3"
John Jesse Francis(American, 1889-1939), watercolor landscape, signed lower left, 10" x 19". 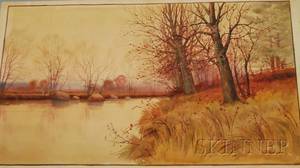 John Jesse Francis (American 1889-1939) Late Autumn Stream. 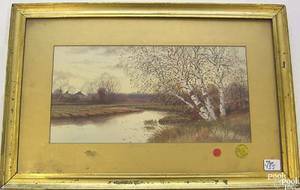 John Jesse Francis (American 1889-1939) Landscape with River.